Healing Candle: Visualize where you want healing energies to go. "Raphael, Archangel of healing and light. Enfold me [or person's name] in your wings of peace and harmony. Help to heal my [or person's name] physical body of all negative energy and illness. I am grateful for your loving and caring touch. Blessings." "Uriel, Archangel of Enlightenment. Guide me on this path that is my life. Let my INNER SELF awaken to a higher understanding. Teach me to be a better person so that I may help my brothers and sisters on their journeys. I am grateful for your wisdom and knowledge. Blessings"
"Gabriel, Archangel of Creativity and Faith. Show me your inner wisdom, that which I can withstand to help Mother Earth heal and to protect all of her children. To receive the gifts of mountain peaks that touches the heavens, oceans of deep, and skies so blue. For this I am truly grateful. Blessings." "Michael, Archangel of balance and light I call upon you for strength in this my [or person's name] time of need. Walk beside me [name] and help to guide on the path of LIGHT and battle with me [name] against those that would harm me [name]. I am grateful to you for enfolding me [name] in your wings of love and protection. Blessings"
~~I wrote these simple invocations to the Archangels of the four winds to not only ask for guidance when needed but to express my gratitude. You can change the wording to what is comfortable for YOU. Incense and candles can also be added to the invocation to help to attract the attention of the angels and to strengthen the energies of the invocation itself. "Archangels Michael and Faith, protect me and increase my faith. Help me align my will with the Divine Will. Help me bring the energy of all that I Am and all that I have ever been into true attunement with Source. Energize me with purpose and majesty. Gift me with the power of the first ray of GOD." "Archangels Gabriel and Hope, assist me in the resurrection of my emotional, mental, etheric, and physical bodies and personality self into my Higher or Christed Self. Grant me the eternal hope necessary to sustain and maintain myself during this time of transformation and accelera-tion. Energize me so that I may walk in purity and bring the sweet essence of harmony to the conflict that spins out upon the face of Earth. Help me to be myself an expression of the Divine, the face of peace everlasting. Gift me with the power of the fourth ray of GOD." "Archangels Raphael and Mary, heal and align my physical, mental, emotional, and etheric bodies and help me to be a vehicle for healing others. Assist me in developing concentration. Help me dedicate myself to the path of ascension for Earth and self. Help me to pierce within the heart of Creation and draw forth what is needed as a model to heal separation. Gift me with the power of the fifth ray of GOD." "Archangels Uriel and Aurora Grace, Great Doves of Peace, bring peace to my body, feelings, and mind so that I can live in a state of Grace and be a signpost of peace to others. Energize me with ray of devotion and ministration so that I may be as a guardian angel to others. Gift me with the power of the sixth ray of GOD." ~~These are wonderfully written invocations that I ran across while perusing the Internet. Be sure to check Invocation to the Archangels as a Group. This is the only time I have ran across the Archangels being "paired" up in an invocation for specific purpose. Well worth the read! Connecting with your Guardian Angel. What is your name? 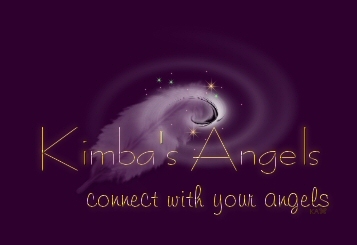 This in no way guarantees healing or any other properties that are associated with these invocations - Kimba [Kimbas Angels] is not liable for any wrong doing that may come from using these invocations or any facsimile. If you have any questions or comments, please contact me.